Our "obscure site" this week is mentioned only once in the Bible and almost in passing. However, it was the starting point of one of the most famous adventures of the apostle Paul. 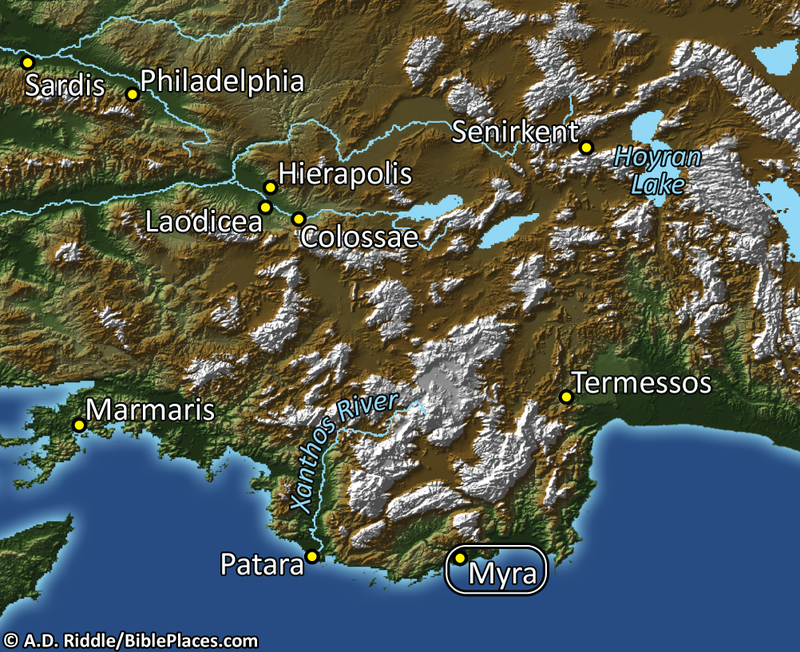 In the first century, the city of Myra stood near the southern shores of western Asia Minor. 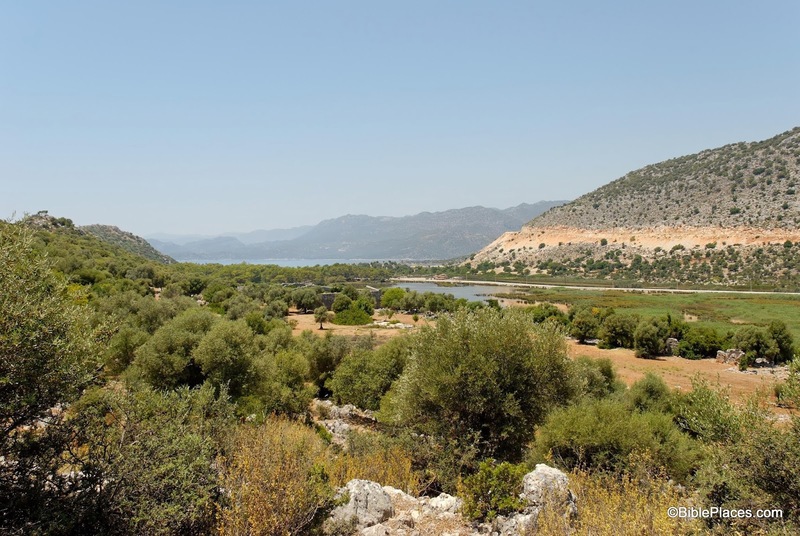 It lies over two miles from the shore so it was closely associated with its port city of Andriace. In fact the harbor city was sometimes just referred to as Myra. The city and its harbor were most likely founded in the fifth century B.C. In the Roman period it was a key location along the trade route used by sailing vessels as they transported grain to Rome. The harbor of Myra was a staging ground where grain from Egypt would be transferred to boats that would carry it on to Rome. In fact, the boat that Paul boarded in Myra may very well have been one of these granary boats (see Acts 27:5-6, 38). In Greek times Patara surpassed Myra, but in Roman times Myra, forty miles eat of Patara, became the chief seaport of Lycia. It grew especially as a result of the Alexandrian grain trade with Italy. Though Myra was located two and one-half miles up the Andracus River from the coast, the same name was often applied to its harbor, Andriaca. There are several "obscure sites" that Paul passed on his journey to Rome. In future posts we will explore some of them. This photo and map are available in Volume 10 of the Pictorial Library of Bible Lands and is available here for $34 (with free shipping). This volume also includes the less obscure sites of Ephesus, Smyrna, and Pergamum. For other posts in our series on "obscure sites in the PLBL," see here. The excerpts are taken from Charles F. Pfeiffer and Howard F. Vos, Wycliffe Historical Geography of Bible Lands (Chicago: Moody Press, 1967), p. 376.